(BOWIE, Md.) Bowie State University dropped one spot to sixth in the second NCAA Atlantic Region men's basketball poll. These rankings are used to determine seedings in the NCAA Division II basketball tournament. 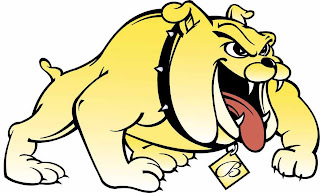 In the Bulldogs’ only game so far this week, Bowie State crushed conference rival Virginia Union 101-82 on Monday night (2/20) and clinched the CIAA Northern Division crown for the third consecutive year. The win also improves BSU’s record to 20-5 overall with one (non-conference) regular season game remaining. The Bulldogs will close out the regular season Saturday, February 25th at home against Washington Adventist University. (RICHMOND, Va. – February 20, 2012) In a tale of two halves, Bowie State University avenged an earlier season loss to Virginia Union, rallying to defeat the Panthers 101-82 and clinched the top spot in the conference’s Northern Division. With the victory, the Bulldogs improve to 20-5 overall, 12-5 in the CIAA and 8-2 in the division. This was the largest margin of victory against VUU, the most points scored against the Panthers and the first 100 plus point’s game this season for the Bulldogs. Virginia Union came out clicking on all cylinders, starting the game with a 10-0 shutout in the first three minutes. The Panthers extended that lead to 14-4 and then to 11 points three times at 19-8, 23-12 and 26-15. “Our guys did a great job, especially in the first half when we got down early … composing themselves and sticking with the game plan”, said a very happy Bowie State head coach Darrell Brooks. However, Bowie State didn’t panic and stormed back with a 10-1 run to pull within two (27-25). The Bulldogs tied the game at 27 on a tip-in by junior Najee White at the 6:25 mark, silencing the sellout crowd in Barco-Stevens Hall. The Bulldogs took their first lead at 29-27 on a pair of free throws by junior Byron Westmorland with 5:58 left in the first half. Bowie State held a six point twice in the first period and went into the half leading 45-41. Virginia Union (15-12, 10-5 CIAA, 7-3 North) hit 16-of-33 first period field goals (49 percent) which included 5-of-9 beyond the arc. Bowie State had a pretty good first half shooting the ball as well, making 15-of-35 from the field (43 percent) including 6-of-14 behind the 3-point line and 9-of-11 (82 percent) free throws. The Bulldogs opened the second half with a 12-0 run forcing the Panthers to call a timeout. The Bowie State lead grew to 16 points twice before the Panthers cut the deficit to 13 on a 3-pointer by Dominic Carey at the 15:05 mark of the second half. Virginia Union would go no closer. White gave the Bulldogs a comfortable 72-55 lead with 11:29 left to play on a fast break lay-up and free throw. From there, Bowie State outscored Virginia Union 21-11 over the next 7:49 for a game-high lead of 27 points (93-33), leaving the Panthers with no real choice except to give some deep reserves a little time on the court. Bowie State’s defense clamped down so tight on Virginia Union in the second half, the Panthers managed only 27 percent field goal shooting (11-of-41). BSU’s Bulldogs controlled the glass all night, out-rebounding the opponent 49-38. The Bulldogs may have started the game very slow but they really found the range in the second half shooting 63 percent (22-of-35) in the final period. “As I always say, any win on the road in this league is a steal and we’re just happy to get this one and get out town”, said Brooks. Jamaal Blalock, Calvin Brown and Juan Richards led Virginia Union with 13, 11 and 10 points respectively. Damion Harris added eight points and a team-high eight rebounds. Seniors Darren Clark and Jay Gavin paced Bowie State with 23 and points respectively. White recorded a season-high 16 points to go along with seven rebounds. Senior Travis Hyman dropped in 14 points and added a game-high nine rebounds and tied his season-high of eight blocked shots. Westmorland rounded out the Bulldogs’ double figure scorers with 11 points. The Bulldogs close out the regular season with a home finale against the Washington Adventist University Shock. Prior to the 7 pm tip-off in BSU’s A.C. Jordan Arena, Bowie State will honor seniors Clark, Gavin, Hyman and Ali Djim. (RICHMOND, Va. – February 20, 2012) In a tale of two halves, Bowie State University avenged an earlier season loss to Virginia Union, rallying to defeat the Panthers 101-82 and clinch the top spot in the conference’s Northern Division. With the victory, the Bulldogs improve to 20-5 overall, 12-5 in the CIAA and 8-2 in the division. This was the largest margin of victory against VUU, the most points scored against the Panthers and the first 100 plus point’s game this season for the Bulldogs. (BOWIE, Md.) Bowie State University has been ranked fifth in the Atlantic Region in the NCAA's first regional men's basketball poll. These rankings are used to determine seedings in the NCAA Division II basketball tournament. Last week, the Bulldogs defeated Chowan University, Elizabeth City State University and Lincoln University of Pennsylvania to improve their record to 19-4. Bowie State is 11-3 in the CIAA and 7-1 in the Northern Division. West Liberty (W.Va.) University sits atop the Atlantic Division with a 21-1 record, 19-1 in the region. CIAA conference foe and Southern Division leader Shaw University is second, followed by Charleston (W.Va.) third and Alderson-Broaddus (W.Va.) College is fourth. CIAA member Winston-Salem State University ranks seventh in the region. The Bulldogs return to action Saturday (February 18th) hosting Virginia State University at 4:05 pm in a nationally televised game. Bowie State travels to Virginia Union University on Monday (February 20th) and will close out the regular season - Saturday, February 25th at home against Washington Adventist University. Sunday February 02/19/2012 3:35pm EST DeMatha High School Basketball: Vs Paul VI Presented By Cancer Defeated! Is Marijuana a Good Cancer Treatment? Many advocates say a certain plant is a potent anti-cancer treatment — and they do have some facts to roll out to support their case. When I tell you the plant is cannabis, or marijuana, you won't be surprised to learn the U.S. government hopes most Americans never hear the evidence. Does it really have any medical benefit? We decided to look into it. . .
By repairing your skin's DNA, you can soften your skin and erase wrinkles, tighten up your sagging jaw line, make your crow's feet disappear, and banish sun and aging spots. This Nobel Prize winning secret makes it possible. Your "telomeres" determine how long your skin cells live. Telomeres are the "time keepers" attached to every strand of DNA. Each time your cells divide, your telomeres get shorter. The shorter your telomeres, the more your skin cells age… causing dry and wrinkled skin. Maintain the length of your telomeres, your skin will stay supple, radiant, and youthful. Dr. Sears' Revive DNA Rejuvenation Cream turns back your skin's aging clock and helps you show a younger face to the world. Click here to find out more. Now this WON'T be a discussion about the merits of rolling dried weed and smoking it for a medically approved high! The "medical marijuana" movement is mostly a wedge to get the drug legalized for recreational use. It's not my topic today. As I'll explain, I don't think inhaling the smoke is a good idea. Rather, you're about to learn about the powerful anti-cancer properties of hemp oil extracted from the cannabis plant. This very strong form of cannabis is supported by pre-clinical, in vitro, and animal studies. Why all the HOOPLA about HEMP? The Latin name "Cannabis sativa" actually translates as "useful hemp." The moniker is on target, considering that this plant provides fiber that is used to make clothing and shoes… seeds and oil that are helpful in foods and medicines… and even pulp to make paper. Hemp oil is an excellent source of omega-3 essential fatty acids. You probably know those as the "good fats" that help control cholesterol, fight inflammation and ward off heart disease. But the plant's anti-cancer properties lie deep inside its main psychoactive component, tetrahydrocannabinol—or THC for short. Its benefits were highlighted in 2008 by some laboratory tests conducted by a team of scientists from Spain, France and Italy. According to results published in The Journal of Clinical Investigation2, THC stimulated death of brain cancer cells—while simultaneously leaving non-cancerous cells unharmed. Alternative health practitioner Marc Sircus, Ac., OMD said the August 15, 2004 issue of Cancer Research3 similarly declared that THC stopped the spread of brain cancer in human tumor biopsies. What's more, THC also selectively prevented the gamma herpes virus from activating and multiplying. Researchers believe these viruses may increase the chances of developing cancers such as Kaposi's Sarcoma, Burkitt's lymphoma and Hodgkin's disease. Paul Armentano, Deputy Director of the National Organization for the Reform of Marijuana Laws (NORML), said federal bureaucrats actually commissioned the first experiment documenting the anti-cancer effects of cannabis in 1974 at the Medical College of Virginia. According to study results published in an August 18, 1974, Washington Post newspaper article, THC "slowed the growth of lung cancers, breast cancers and a virus-induced leukemia in laboratory mice, and prolonged their lives by as much as 36 percent." These findings were even published the following year in the Journal of the National Cancer Institute. So why is this scientifically supported anti-cancer treatment not a staple in hospitals and cancer treatment centers? Despite the early findings about the positive health benefits of THC and hemp oil, the government continued to designate the herb as a "Schedule 1 controlled substance." Armentano said this essentially classifies the plant as a drug with a "high potential for abuse" and "no accepted medical use." Since then, 15 states and the District of Columbia have enacted laws to promote and protect the medical use of marijuana. Nevertheless, Armentano said this won't necessarily stop Drug Enforcement Agency (DEA) raids and arrests on medical marijuana suppliers and patients. Federal law still trumps state law—and in this case, that still makes it illegal to possess or distribute marijuana. For that matter, the government has to grant permission for anyone to even conduct clinical research on marijuana. Many advocates who support complete legalization of marijuana for medical use say the pharmaceutical industry is behind the federal frenzy against widespread use. If the drug companies can't make enough dough on a natural substance — they feel you're better off without it! Can hemp oil really be that safe and effective? Although hemp oil itself is a legal product, Andrew Weil, M.D., a professor at the University of Arizona College of Medicine, said the type of hemp grown to produce oil has a low THC content that decreases throughout the production process. It's not potent enough to be of medical use. Rick Simpson advocates in-home extraction of hemp oil to ensure that higher concentrations of THC remain active. He has shared his process in the YouTube documentary Run from the Cure and has even shared samples of the oil with cancer patients. But this is also why Simpson is living in Europe as a fugitive from the Canadian government. Simpson is not a doctor and does not have a medical or scientific education. His administration of hemp oil treatments to cancer patients did not win him the favor of Canadian government officials. Regardless of continued government resistance, some folks are convinced by anecdotal evidence and available studies that hemp oil is no snake oil! For that matter, many members of mainstream medicine agree that the cannabis plant may be useful to cancer patients suffering from anorexia, anxiety, depression, nausea, and pain. But Dr. Lester Grinspoon, associate professor emeritus of psychiatry at Harvard Medical School and author of Marijuana: The Forbidden Medicine urges caution in adopting this treatment. My take is that a cannabis extract may someday take its place in the array of natural cancer treatments available to all — but we're not there yet. Meanwhile, I think it would be hazardous and impractical for my readers to try to obtain high-potency hemp oil and experiment on themselves or their loved ones. As for the kind of cannabis you smoke, it seems to me the damage to the respiratory system (and possibly to other body systems) is likely to outweigh any benefits. I've also seen plenty of evidence that it accelerates the aging process, most likely by creating a massive cascasde of free radicals, much the way tobacco smoke does. Inhaling smoke is not a healthy idea, even if it is a delivery system for a drug that might help fight cancer. Having come of age during the hippie era, I can tell you the drug does a great deal of harm. I'm convinced it's addictive — despite what some advocates claim — and in most cases it turns frequent users into bumbling underachievers. Put a pothead side by side with a non-user of the same age and you'll be shocked by the difference. A 25-year-old non-user looks like a rosy-cheeked child compared to a 25-year-old pothead. A 60-year-old pothead looks like someone 85. But the medical uses of the drug do make a fascinating subject, and someday I hope researchers are able to legally find out whether a cannabis extract is a good cancer treatment. (HAMPTON, Va.) The Central Intercollegiate Athletic Association (CIAA) released its weekly CIAA Basketball Honor Roll and Bowie State University received three of the eight accolades. Sophomore Brooke Miles was selected as Newcomer of the Week and first-year head coach Renard Smith was named Coach of the Week. Miles continues to pay huge dividends for the surging Lady Bulldogs, averaging 17.3 points per game during BSU's three wins against Chowan, Elizabeth City State and Lincoln (Pa.). Coach Smith has led his Lady Bulldogs to first place in the conference's Northern Division, winning four straight, five of the last six. Bowie State defeated Chowan (63-51), Elizabeth City State in overtime (54-52) and routed Lincoln (78-45). Junior transfer (Hagerstown Community College) Dameatric Scott was selected men's Newcomer of the Week. Scott recorded a career-high 18 points to lead the No. 21 Bowie State to a 69-63 televised victory over Lincoln (Pa.) last Saturday. Marine phytoplankton grows in oceans, seas, rivers and lakes. It's one of the most amazing plants most people have never heard of. It's too small to see, yet it provides the earth with nearly all its oxygen — 90%. When it comes to your health, it's one of the most dense superfoods on earth. I've taken a marine phytoplankton supplement myself for years, but now I've come across a new product that sounds to me like a breakthrough. After more than 30 years of research, and tens of millions of dollars invested, a team of European doctors, microbiologists and marine scientists discovered one particular species of micro-algae; out of all those hundreds of thousands, that contains the highest nutritional values for human consumption of any species found so far. And on top of that, there's a new way of processing this superfood making sure that 100% of the nutritional value is delivered to you in its purest form. Other types of algae like spirulina, chlorella, klamath lake blue green, etc. are all over-processed and delivered in a state where the 'actives' are totally depleted by the time they are consumed. This special strain of Marine Phytoplankton called Nannochloropsis Gaditana has a cell wall that is instantly digestible in the human body, immediately releasing the nutrients at a cellular level. They're so small, it would take five of them to equal a red blood cell, yet there's an incredible wealth of life energy stored in every single cell (more than 10 billion cells in a single drop)! This unique strain of micro-algae contains more than 100 nutritional properties including all the amino acids, all the essential fatty acids (Omega 3's — EPA/DHA), vitamins, key minerals and trace elements, rare antioxidants, phospholipids, electrolytes, nucleic acids, enzymes and co-enzymes. The researchers selected this particular strain because it combines all these nutrients in the best proportions to make it unique and highly effective in helping the human body to regenerate cells and to heal. Another quality that makes it so powerful and effective as a healing substance is that each of the 'nano sized' nutrients are able to go directly inside a human cell and feed it at a mitochondrial level. The mitochondria are a cell's energy factories. A substance that nourishes them directly is priceless. This is one reason Dr. Jerry Tennant, founder and director of the Tennant Institute of Integrative Medicine, who has treated thousands of people with chronic diseases, believes this food achieves such fast results—especially in cases of critical and chronically ill patients suffering from poor liver function. While other products took months to see noticeable benefits, this particular species of micro-algae produced significant results within days. "With people who are extremely ill ... you can't get their system to absorb the raw materials needed to make neurochemicals," states Dr. Tennant. "The marine phytoplankton are microscopic plants .... Because they are so microscopic, they go right through a sick digestive system and a sick liver, and you'll be able to start restoring neurochemicals and minerals even in somebody who's critically ill. Nothing else I know of will do that." This strain of micro-algae/marine phytoplankton is the 'Parent' source of DHA (Docosahexaenoic acid), an omega-3 fatty acid — the type of fatty acid Dr. Mehmet Oz (also known as "America's Doctor") recently said is the most important food supplement you can take. Nannochloropsis Gaditana is the richest source of EPA (Eicosapentaenoic acid). EPA is also converted to DHA by the human body as needed. EPA and DHA are crucial for the brain and retina. When you have the levels you need, your brain functions more efficiently, and your eyes function better, too. DHA structurally makes up 60 percent of the fats in your brain. Unknown to most people, but revealed in science many times in the last three decades, EPA is the most important Omega 3 as it supplies functional nutrients for the brain daily and is used to build up the myelin (protective sheath surrounding nerve fibres). 'Parent Forms' of EPA and DHA work in tandem with amino acids to produce the vital nutrients that are able to cross the blood brain barrier! Some people say this superfood actually contains — or provides the raw material — for every nutrient your body needs. Man cannot live by bread alone, but he might be able to live on nothing but micro-algae — provided it's the right strain! Find out for yourself. Because it's a green superfood, it's also high in chlorophyll, as you would expect. Chlorophyll boosts your immune system, produces cancer-fighting carotenoids, and protects the body against free radicals in the air, water and food. The vast array of nutrients found in marine phytoplankton—the amino acids, essential fatty acids, organic plant minerals, pigments rich in carotenoids, astaxanthin and more—work with one another like a team, in every cell in the body. It's a better solution than taking all these nutrients one at a time, in separate supplements, the way most of us do. If you were to create an EPA/DHA extract from marine phytoplankton, for instance, the result would be a large fat molecule that would be unable to cross the blood-brain barrier. When the EPA/DHA is bonded with an array of other nutrients — not in an isolated state — the brain can utilize it. In general, the body can use the individual nutrients found in marine phytoplankton to produce hormones, enzymes, vitamins, fatty acids, proteins, and other nutritional elements. Marine phytoplankton reportedly enhances brain function, improves immune function, helps fight invading microbes such as viruses and bacteria, improves cellular repair, protects against radiation, and helps the body cleanse and nourish in a way that's second to none. There's more: it has anti-inflammatory and antioxidant benefits. It even improves circulation and heart function allowing you to enjoy sustained energy all day. Seven years ago, Ian Clark suffered from terrible health. He suffered from several life-threatening health conditions, and he realized that his lifestyle and habits were slowly but surely killing him. He came so close to dying, he finally changed his ways. As he learned the things he had to do to regain his health, Ian found the evidence for the many benefits Nannochloropsis Gaditana, the strain of marine phytoplankton I've been talking about. It changed his life. 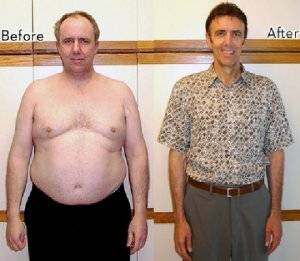 He credits this one substance with restoring his health and even helping him lose weight. I can't tell you it's a weight-loss secret, but Ian says that's one of the benefits he experienced! His research into marine phytoplankton brought him into contact with a supplier who provided him with fresh harvested marine phytoplankton paste. I won't go into details on how it's made, but when it is harvested, it is so concentrated, it has the consistency of peanut butter. When in this form, the trillions of micro-algae are actually still a living plant form, and in their most potent state for human consumption. As you can imagine, the "living paste" would spoil in a short time, but by a stroke of luck, Ian was contacted by a company that manufactures a natural preservative made from a concentrated and purified sea mineral solution. When the live paste is put into this solution, its nutritional value and benefits are preserved permanently without refrigeration. To me, this is the most unique and fascinating thing about Ian's product: It's composed of live, not freeze-dried, marine phytoplankton. He tells me it's the only product of its kind available today! Ian didn't actually set out to market the product. He just created it for his own use and to share with people he knew. He had to change his mind when the first people who tried it experienced incredible health benefits. Word got around, and before long Ian couldn't keep up with the demand. Now the product, called Ocean's Alive, is made in an FDA-approved manufacturing facility and he fills orders coming in from all over the world. Many people have told him the product has dramatically improved their lives. Diabetes—helps restore normal glucose levels. Poor Eyesight—high antioxidant level helps support good eye health. If you'd like to discover how you can benefit from Ocean's Alive concentrated marine phytoplankton, click here. You'll see how it supports DNA repair, glutathione production and promotes growth hormones and stem cells to slow down your aging process. You'll also see how it differs from other types of marine phytoplankton supplements—and how, in as little as 60 days, you can nourish every single cell in your body with it. (BOWIE, Md. – February 11, 2012) Junior Dameatric Scott scored a Bowie State career-high to lead the No. 21 Bulldogs to a 69-63 victory over the Lincoln University of Pennsylvania Lions in a nationally televised contest. The Bulldogs got some distance from Lincoln in the final two minutes as Bowie State took their largest lead of the opening half 31-24 after a pair of free throws by senior Travis Hyman. However, the Lions got a 3-pointer from Justin Jackson to close the gap to 31-27 right before halftime. Lincoln (11-14, 6-8 CIAA, 4-4 North) opened the second half on a 13-4 run to take a 40-35 lead following a Kenny Sharpe 3-pointer from the right wing with 15:40 remaining. Bowie State quickly responded and tied the game at 40 after a Scott 3-pointer and putback with 13:57 left. Scott’s trey sparked a 14-9 run to give Bowie State a 54-49 advantage with just under eight minutes left in the game. Lincoln’s Lions had a small spurt to trim the deficit to 54-53 after a Sharpe free throw at the 6:55 mark. The Bulldogs used a 10-4 run, capped by a three-point play by senior Darren Clark to give Bowie State a 65-57 lead with 1:37 remaining. The Lions tried to rally with buckets by Denzel Mooney and Richard Glover to cut the deficit to 65-61 with 29 ticks left on the A.C. Jordan Arena scoreboard. Junior Byron Westmorland missed a pair of free throws with 18 seconds left and Lincoln took advantage as Sharpe scored on a tip-in. BSU senior Jay Gavin was fouled on the throw in and sank a pair of free throws with 11.4 seconds left and sealed the win with two more free throws with 3.6 seconds remaining in the CIAA Northern Division matchup. Sharpe recorded game-highs of 22 points and nine rebounds to pace Lincoln. George Jackson scored 14 points and Mooney added 13 points. The Lions shot 34 percent from floor (23-of-67) compared to 40 percent (21-of-52) from the floor for the Bulldogs. Besides Scott’s production, Clark and Westmorland chipped in 13 and 12 points respectively and Gavin finished with 10 points. Bowie State was credited with 16 total assists with Clark and Gavin handing out six and four respectively. Bowie State (19-4, 11-3 CIAA, 7-1 North) will take a break from play before hosting the Trojans of Virginia State University next Saturday (February 18th) at 4 pm in another live television event. (BOWIE, Md. – February 11, 2012) Bowie State played their best half of basketball in the first 20 minutes and sprinted to a convincing 78-45 whipping of Lincoln University of Pennsylvania. The BSU Lady Bulldogs, winners of four straight, improve to 7-14 overall (7-7 CIAA) and move into first place in the Northern Division with a record of 6-2. Bowie State, which shot 58 percent from the floor and 20-of-22 from the free throw line in the first period, opened the game with an 1804 run, capped by a pair of free throws by senior Juliette Turner with 12:55 remaining in the opening half. The hot-shooting Lady Bulldogs strolled into the break with a very comfortable 52-23 lead. Lincoln (7-19, 3-11 CIAA, 3-5 North) really struggled from the floor in the first half, making only 8-of-21 from the field (38 percent). The Lady Lions made almost as many free throws as field goals in the first half making 5-of-8 from the charity stripe. The BSU Lady Bulldogs shooting dropped significantly in the second half, falling to a chilly 24 percent (5-of-21). Bowie State continued their good free throw shooting, knocking down 16-of-20 in the final half of play. The Lady Lions field goal shooting decreased in the second half as well, dipping to 30 percent on 8-of-27 from the floor. Just like the first half, Lincoln (PA) made 5-of-9 at the free throw line. Cynthia Johnson scored a team-high 17 points to lead Lincoln (PA) to go along with five rebounds and Denyse Moore finished with 10 points for the Lady Lions. Sophomore Brooke Miles paced Bowie State’s Lady Bulldogs with a career-high 22 points which included a perfect 10-of-10 at the foul line. Turner and senior Kimberly Jones rounded out Bowie State’s double figure scorers with 16 and 10 points respectively. Bowie State will have a six-day layoff before returning to action – Saturday (February 18th) hosting Virginia State University to close out the home portion of their 2011-2012 campaign. Three Lady Bulldog seniors (Turner, Jones and Chanita Jordan) will be honored with a special awards presentation at the conclusion of the game. A bit of good news if you receive a gift of chocolate this Valentine's Day: For once, something that tastes good is good for you. Chocolate "teems with antioxidants that prevent cancer," according to a Cornell University study published in 2003. And the results of an animal study -- just published in December, 2011 -- show that eating cocoa, the raw material in chocolate, can help prevent cancerous lesions in the colon. Does this give us a license to load up on candy bars, brownies, hot chocolate and (my favorite) Black Forest cake? Let's find out. . .
"If I had made a prediction before conducting the tests, I would have picked green tea as having the most antioxidant activity," said one of the researchers, Chang Y. Lee. "When we compared one serving of each beverage, the cocoa turned out to be the highest in antioxidant activity, and that was surprising to me." Cocoa is harvested from a plant called "cacao," derived from an Aztec word. This is an evergreen tropical American tree that bears a leathery fruit on the trunk and older branches. Besides antioxidants, cocoa contains a wealth of other substances that can do you good, including 400 different compounds that promote a better mood and relieve anxiety. Most chocolate fans don't need to be told the stuff gives you a lift. And now the scientific proof is in. Who needs Paxil and Prozac? The researchers believe that cocoa helps protect from cancer by interrupting cell-signaling pathways involved in cancer cell proliferation, and also by inducing apoptosis (programmed cell death). Apparently the cancer-fighting substances in cocoa are not absorbed well in the small intestine. That's enables them to find their way into the large intestine — the colon — with their antioxidant powers intact. Although there's strong support for the antioxidant value of unprocessed cocoa powder, most of the health benefits are negated by making it into chocolate -- mixing it with gobs of sugar and saturated fat. It's a wash, at best. When I was a child, my older sister and I had hot chocolate every morning for breakfast. (Those were the days). My sister made hers with unsweetened Hershey's cocoa powder, while I made mine with sugar-loaded Nestle's Quik. My sister had the right idea, although she added her own sugar and probably ended up with a drink as sweet as mine. If you can restrain your shaking, addicted hand from reaching for the sugar jar, a drink made from unsweetened cocoa powder can give you a wealth of health benefits. In fact, it's fair to call it a "super food." If you've eaten mole poblano — chicken with chocolate sauce -- at a Mexican restaurant, you've encountered unsweetened chocolate — and, yes, it does taste good. Meanwhile, there's a food that's definitely bad for a great many of us. If you missed the article in the last issue about this lethal substance, scroll down and catch it now. Sick and don't know why? Does the term "healthy" come to mind when you see the words wheat, barley and rye? When eaten as whole grains, they do provide health benefits for most folks who eat them. But not for everyone. In fact, ditching these products may be one of the best steps you can take for good health. Keep reading to find out why. . . Your doctor told you to kiss bread goodbye...but your cramping and gas didn't stop. The truth? There are so many OTHER foods containing lectins that could be upsetting your digestive health! An amazing blend of nutrients can promote your gut's health and allow you to splurge on the foods you love on occasion. Click here to learn more. Now that's the good news for the majority of folks who eat them. Unfortunately, some people have difficulty digesting the protein called gluten found in these grains. But the damage goes far beyond digestive upset. Gluten intolerance is associated with a wide range of "mystery" medical problems that have stumped the victims — and their doctors. You might have never thought about it, but many of your favorite foods could be made from grains that contain gluten. I'm talking about tasty items such as warm, delicious breads and cookies… mouth-watering pizza… and even a tall, frosty mug of beer! Your digestive troubles could be a sign that you suffer from gluten intolerance. The worst form of gluten intolerance is celiac disease, an inherited autoimmune condition that affects nearly 3 million American children and adults. It's a very serious illness. What's more, experts think it could affect far more than 3 million. Research now shows many other chronic health conditions are triggered by gluten sensitivity and intolerance. And most of the time, doctors don't know that gluten sensitivity is the culprit. Dr. Thomas O'Bryan is a board-certified clinical nutritionist who's studied many of the underlying causes of metabolic disorders and chronic disease. In the DVD Unlocking the Mystery of Wheat and Gluten Sensitivity, Dr. O'Bryan quoted a 1996 report from the American Celiac Society that showed the majority of celiac patients visited five or more doctors before their condition was diagnosed properly! In short, the vast majority of people with wheat sensitivity and/or celiac are undiagnosed. They're sick and don't know why — and neither does their doctor. What's more, celiac disease can mimic symptoms of other conditions, such as anemia, Chron's disease, irritable bowel syndrome and gastric ulcers. One of our valued sponsors, True Health, offers a supplement that reduces the symptoms of gluten intolerance. I guess you can even have bread or a piece of cake once in a while if you take these supplements, and you won't feel distress. It sounds like it's worth looking into -- click here if you want to know more. But let me stress that this is just a BandAid solution. If you're gluten-intolerant, you need to give up all foods that contain gluten. Period. And if you've got celiac disease — not just run-of-the-mill gluten intolerance -- you can NEVER have anything with gluten in it, supplement or no supplement. Celiac disease is dangerous. Don't toss all your stationery just yet. Most envelopes made in the U.S. use glue made from corn-based products. And U.S. postage stamps use sticky adhesives that don't require a lick. If you're wondering whether you have gluten intolerance, your doctor can run tests to diagnose your condition. Once you know whether you have problems with gluten—you can develop an action plan for healthier eating. So does following a gluten-free diet mean all your food will be boring and taste like cardboard? Hardly! I'm on a no-wheat diet and I've found delicious breads and crackers that are made without wheat (my personal favorite is a millet-flax bread). What's more, many specialty food stores offer tasty products that are clearly labeled as gluten-free. This can take some of the hassle out of your trips to the grocery store! Sueson Vess, consultant, food coach and author of gluten-free cookbooks, offers several suggestions on how to cook delicious meals that won't tie your stomach in knots—or put your life at risk! You might consider checking out her website at www.specialeats.com.